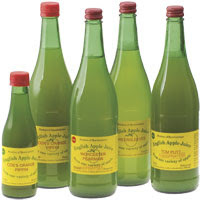 These are very special Apple Juices: each bottle contains juice from a single variety of Herefordshire grown apple. From the sharpness of Bramley to the sweetness of Worcester Pearmain, no two flavours are the same. Now we can supply 6 of the same flavour. Yum! 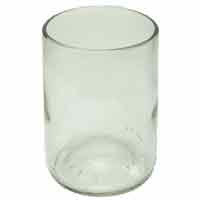 And if you would like something really cool to drink out then try these reused bottle glasses - we luv'em! Join them, its fun following Farmer's Tweets! In this lavishly illustrated, full colour book, professional gardener. Matthew Biggs, shares his extensive knowledge on a wide variety of vegetables and how to grow and enjoy them. With an A-Z of vegetables and sections on the history of vegetable growing, harvesting and storing plus over 200 vegetable recipes, this is a guide for keen gardeners and beginners alike. 272 pages, 230 x 270mm. Nice company dear Wigglys...Tes is a fellow WiRE member and has a lovely company based in Warwickshire called Ochre and Ocre. They sell lovely organic cotton placemats which I would really really really like... and they are made in Europe. 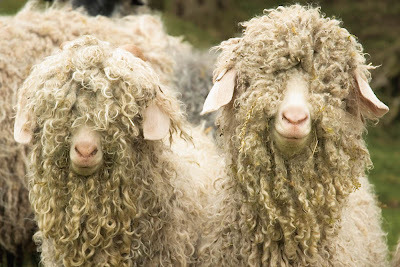 Why we LEUURRRVVEE Goat Socks. Goat socks dry out quicker than cotton (says Karen) , are warmer than wool (in my opinion), are completely not itchy (so says Rach who finds everything itchy) and are totally loved by Alison (who is right fussy) and lastly but not least we have lots in stock which wasn't easy as we had to collect them from a high and snowy mountain! And, what does Jill think?